Registration for VAS Netball 2019 is now available via the link below. All players are welcome – no previous netball experience is required. 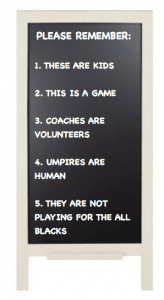 Please take the time to read the following outline so that you understand the format that Auckland Netball operates and how we manage netball at our school. Registrations close on Monday 11th March. The cost per player is $100. This includes hire of the netball uniform and can be paid via the school shop at http://victoriaave.com/school-shop/ or at the School Office. All games are played at the AMI Auckland Netball Centre, St Johns. Year 3-6 teams play on Thursday afternoons, starting Thursday 16 May. Further details re timing and location of these sessions are available on the school calendar. Please ensure that Year 4-6 players have appropriate PE gear and footwear. Note that at this age children develop and change year to year so it is likely that teams will change. Players need to be prepared to play in different teams from previous years. We rely on parent volunteers to coach and manage our teams. Please indicate on the registration form whether you or someone you know would be able to provide assistance in either role throughout the season. If we are unable to locate coaches, some teams may not be able to compete and registration fees may have to be refunded. We have some coaching courses coming up in April and May run by NNZ. If you’d like to go to these, please email us and we can sign you up electronically. These will be free of charge or the fees covered for our wonderful coaches. Coaches arrange one weekly practice before or after school in consultation with the netball co-ordinators to achieve a workable timetable for all teams. Regular lunchtime practices cannot be accommodated due to space constraints. Coaches who wish to practice more than once per week will consult with parents of their players before making a decision. Year 5 and 6 players will be committed to playing netball for Tuesday Winter Exchanges and will not be eligible for other Winter Exchange teams. Pre-season netball training can be sourced from College Rifles or Auckland Netball and is at the discretion of parents. Some people also choose to participate in the ANC Summer League in Terms 1 and 4 which is organised by parents independent of the school.